Judging by past trends, the successor to the OnePlus 6 will not be seen until November but it is about time that OnePlus proceeds with the required worldwide certification and testing. 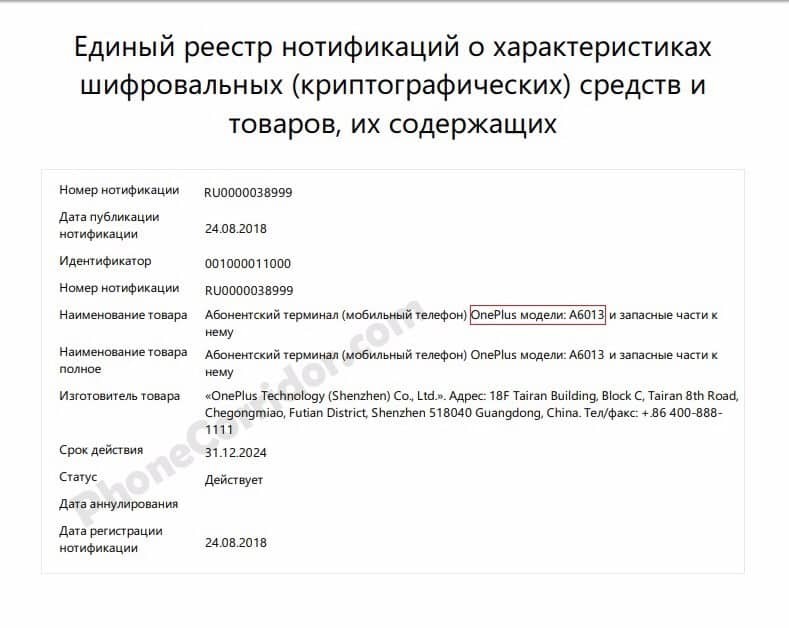 A document recently issued by the Eurasian Economic Commission (EEC), which is headquartered in Moscow, has hinted that the OnePlus 6T is coming soon. Even though the document doesn’t explicitly mention the OnePlus 6T, it is safe to assume that the ‘subscriber terminal’ mentioned in it is the successor to the OnePlus 6. The device goes by the model number A6013 and it is likely to be the European and North American quad-band version. The OnePlus 5 was referred to as A5000 and its successor, the OnePlus 5T was assigned the number A5010. Now, the OnePlus 6 is called the A6000 in Asia, India, and China, and A6003 for the European and North American markets. If you connect the dots, it becomes apparent that the OnePlus 6T will be referred to by the model number A6010 and it will be for the Asian, Indian, and Chinese markets. This can also mean the A6013 in this Russian document is talking about the European and North American version of the phone. The OnePlus 6T will reportedly be the first OnePlus device to get carrier support and if rumors end up being true, then T-Mobile will sell the phone in the U.S., while the international and the unlocked variants will be sold directly by OnePlus. 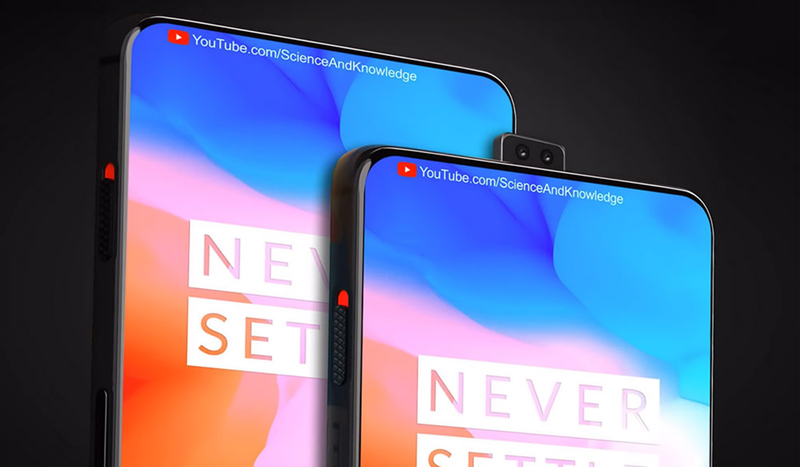 According to rumors, the OnePlus 6T will feature a triple-camera setup, a waterdrop notch on the front, and improved Dash Charge technology, which might be based on OPPO’S SuperVOOC. It is very unlikely that the phone will come with an in-display fingerprint scanner as OnePlus usually waits for newer technologies to get cheaper and more widespread before incorporating them in their phones to keep the costs down. However, a triple-camera setup has only been seen on the P20 Pro and it will take a while before this sort of hardware is readily present in smartphones. Do you think the OnePlus 6T is going to be a worthy upgrade for customers? Tell us in the poll right away. Related OnePlus 6T Available For Free On Cyber Monday Via Credits & Trade-In! Update: Apparently, the screenshot of the OnePlus 6T model number is a fake so we’ll update you more on this in the future.